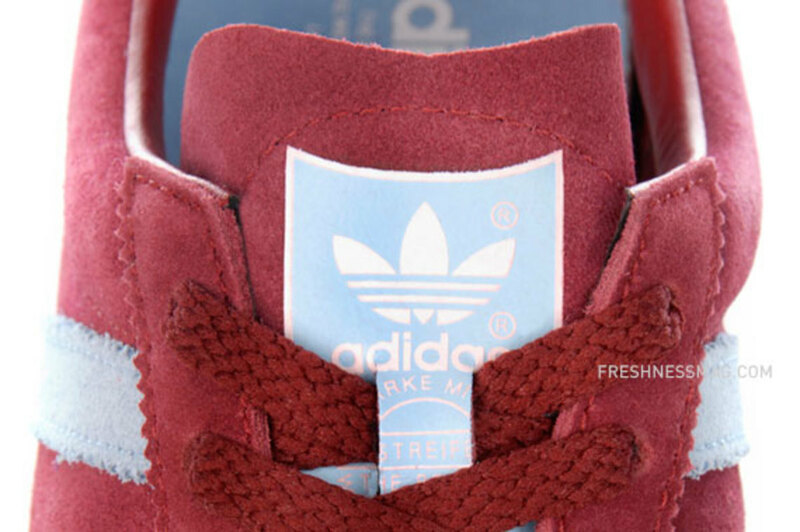 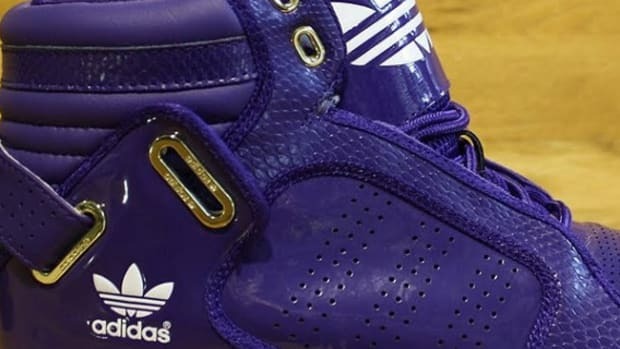 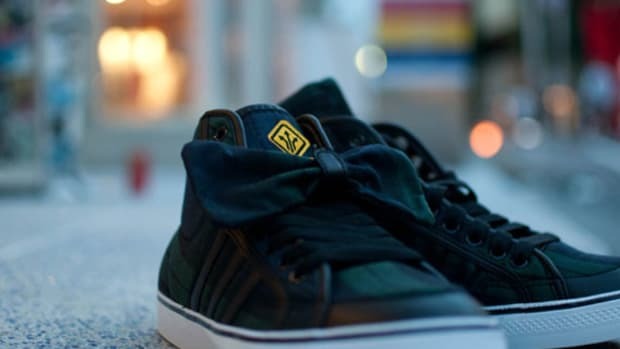 The story of adidas can be traced back to World War I, after the founder of adidas, Adi Dassler, returned from the war and started producing his own sport shoes in his mother&apos;s kitchen. 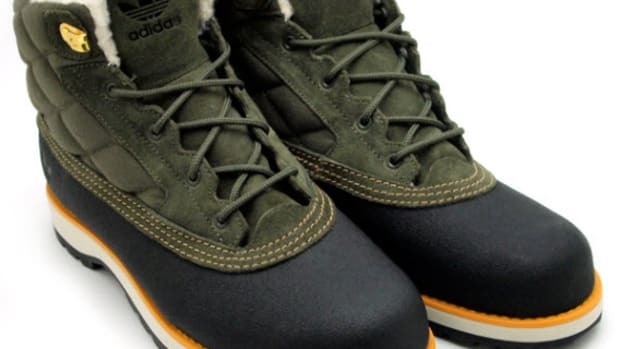 As Dassler was trained as a cobbler, his shoes presented unparalleled comfort at that time and he equipped several athletes with gear for the 1928 Olympics, laying the foundation for expansion. 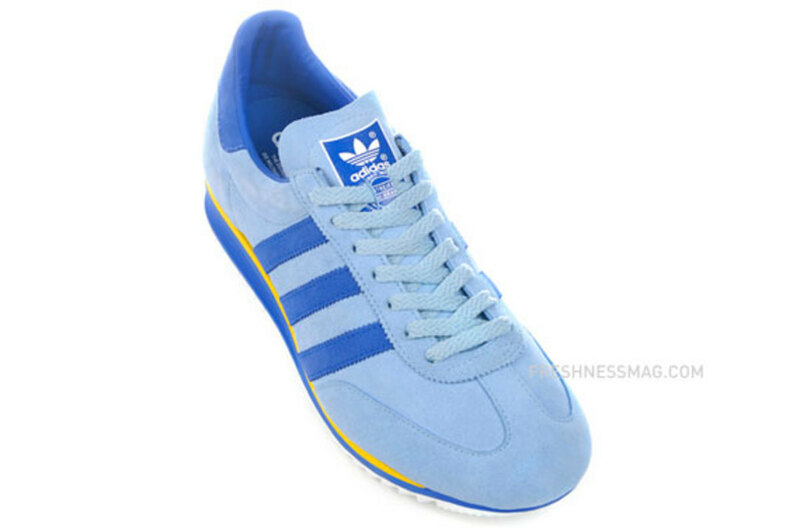 In 1948, Adi Dassler parted with his brother with whom he was working together with and renamed the company adidas, after his own name. 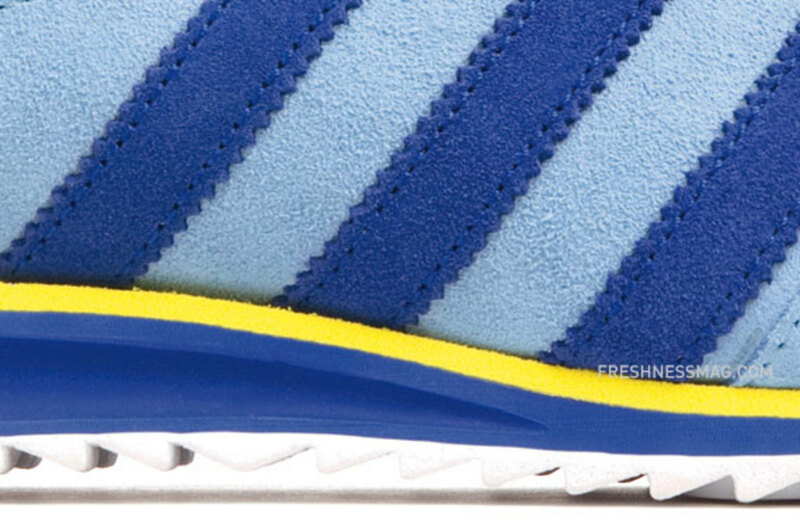 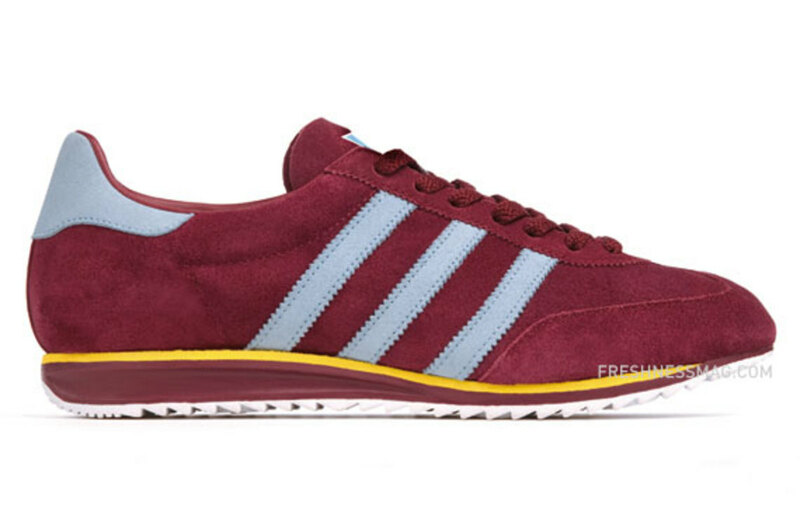 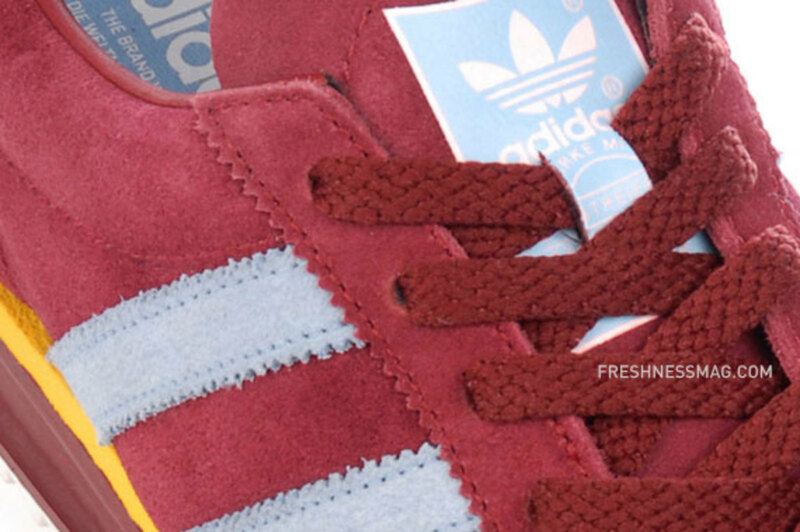 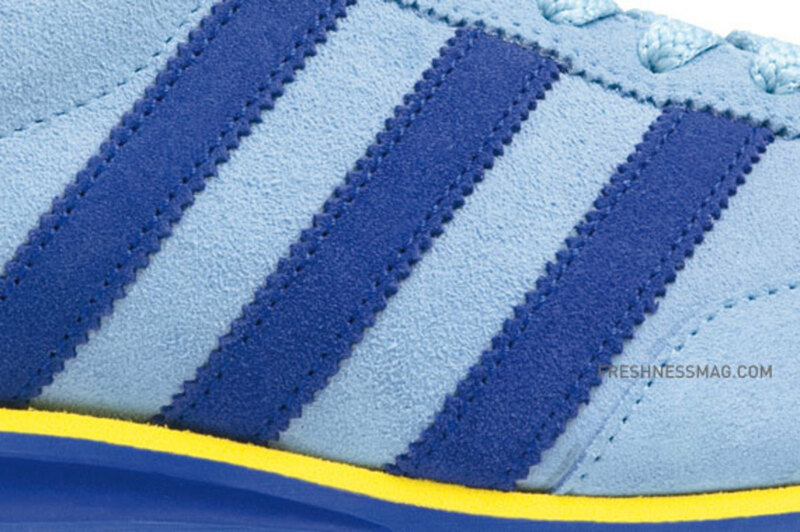 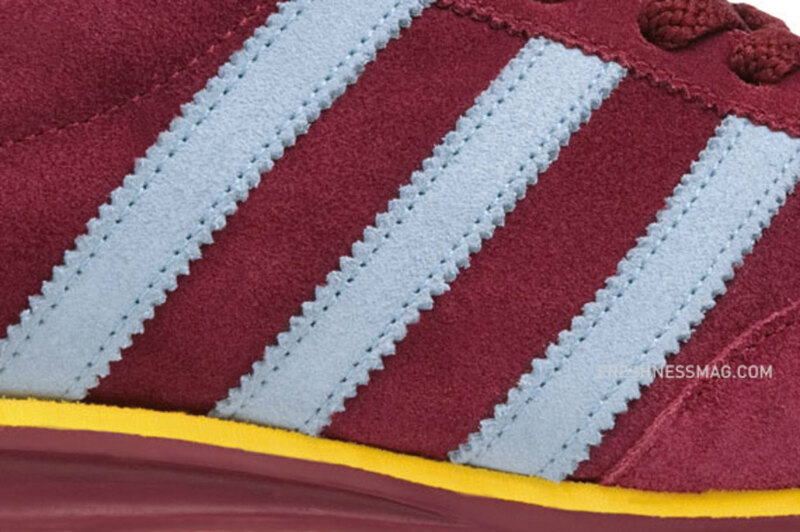 The new Adi Archive collection pays tribute to the story of adidas and legacy of Adi Dassler. 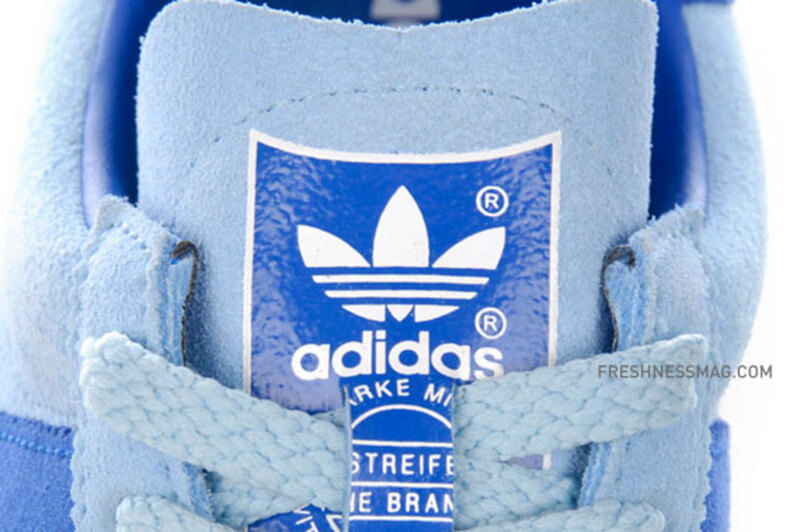 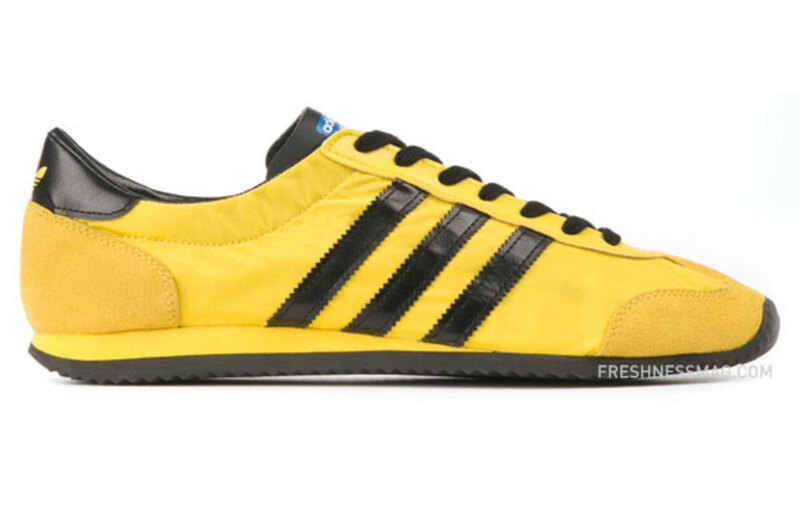 Quite literally, as the name suggests, adidas Originals tapped into Adi Dassler&apos;s archives and reproduced some of his most iconic and successful work. 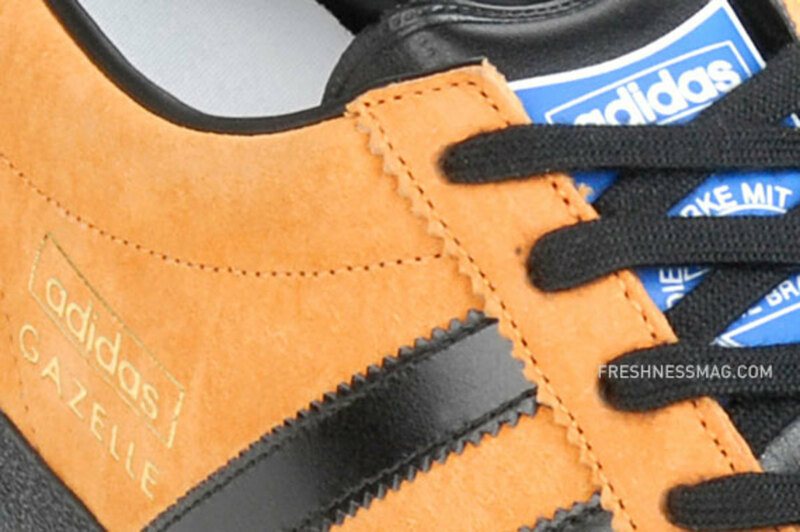 In this collection, fronting a classic retro execution is the adidas Gazelle OG. 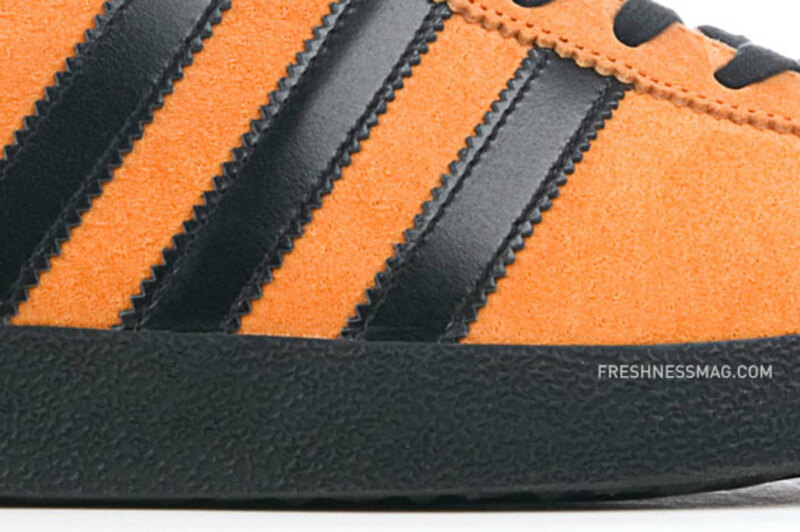 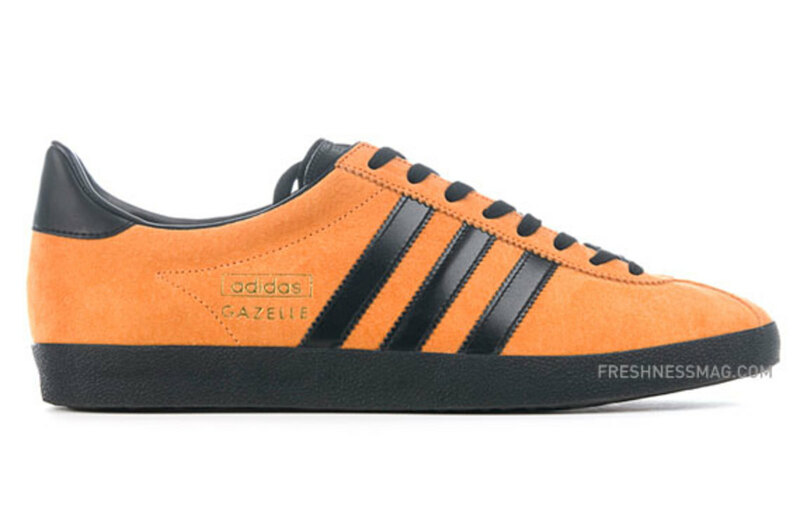 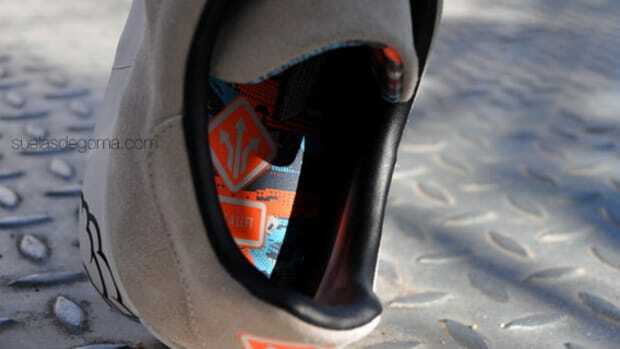 The Gazelle OG is reintroduced in 2010 as it first debuted in 1968. 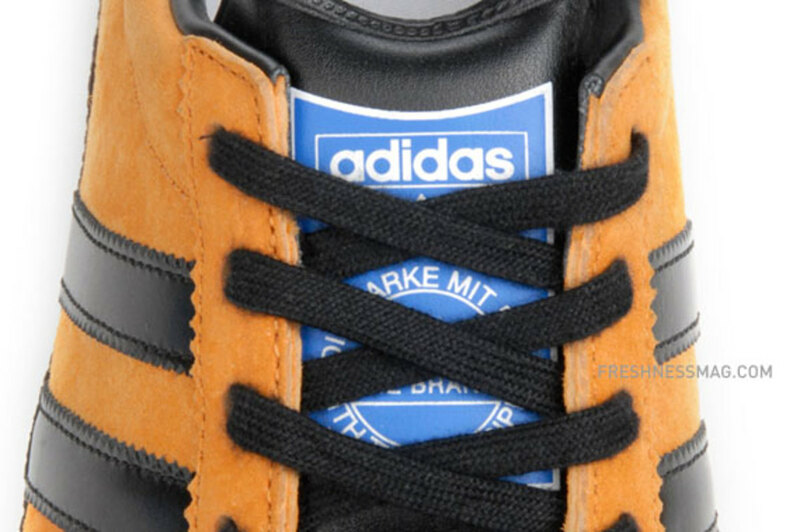 The Gazelle was originally intended as athletic training shoes, but it left the football fields in the 1970s and sparked a popular craze with the fans. 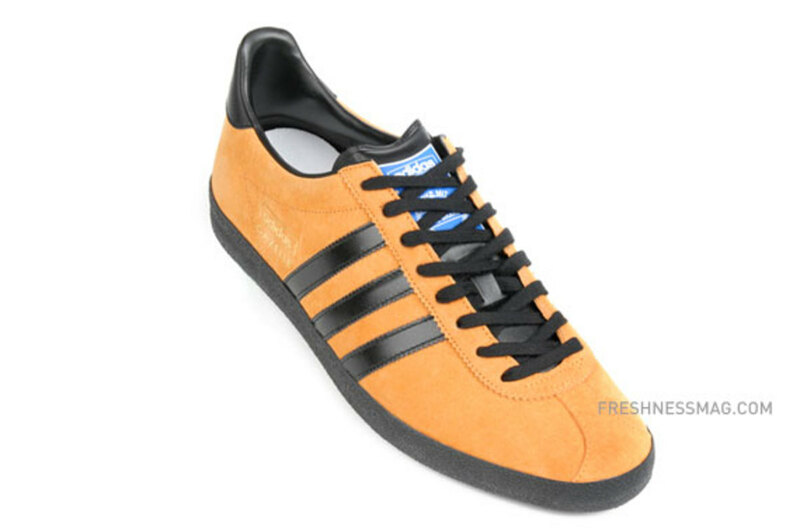 This version of the Gazelle is crafted in a luxurious suede upper in orange withy black accents and textured pattern for outergrip. 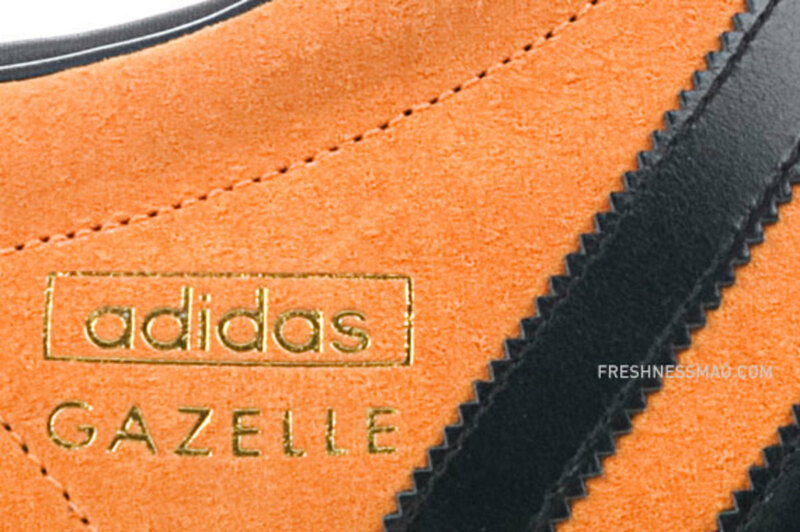 The Gazlle logo is accented in beautiful gold foil for a retro opulent touch. 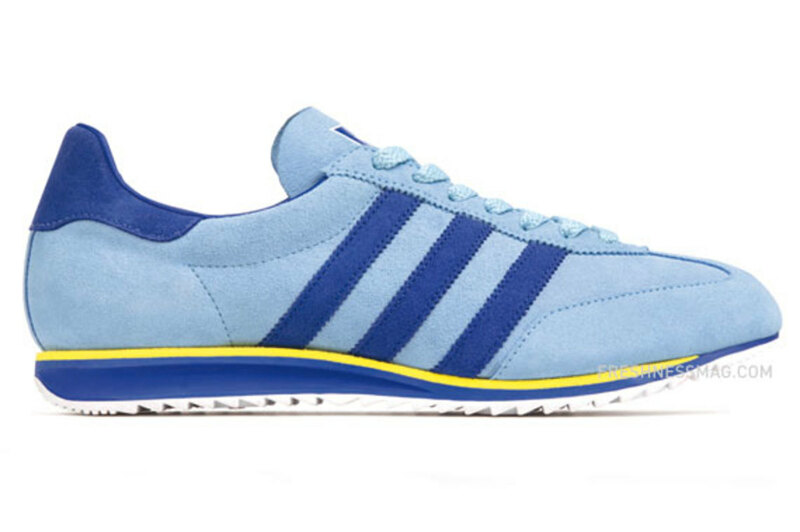 After the Gazelle, the other pair of kicks tapped from the archive is the 1609er, which was formerly known as the adidas Miller. 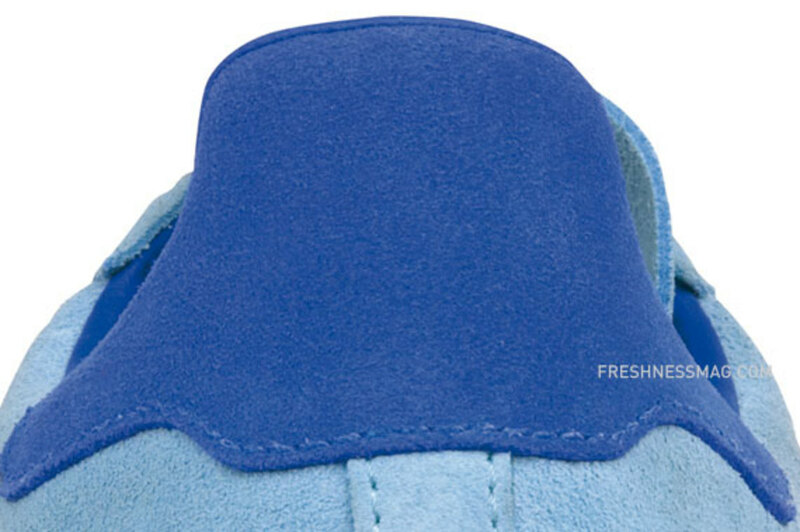 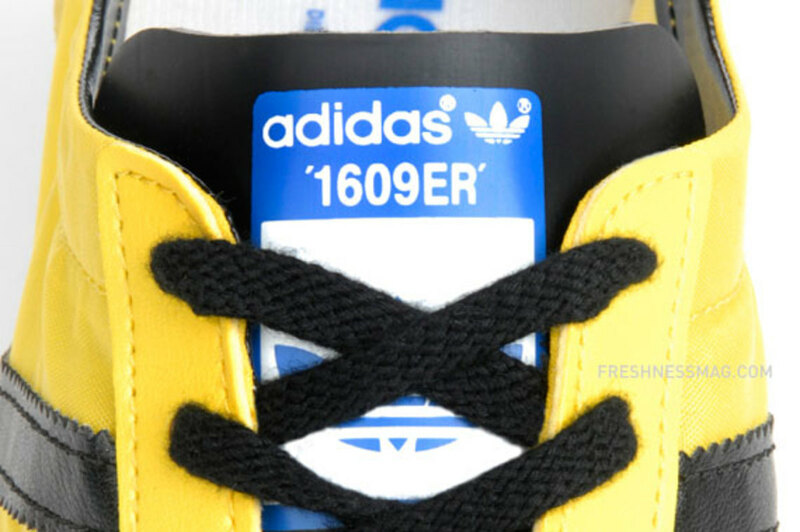 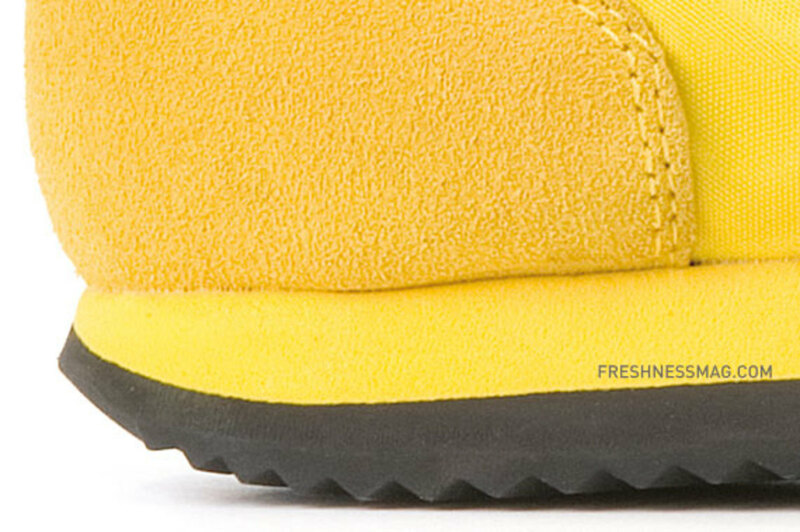 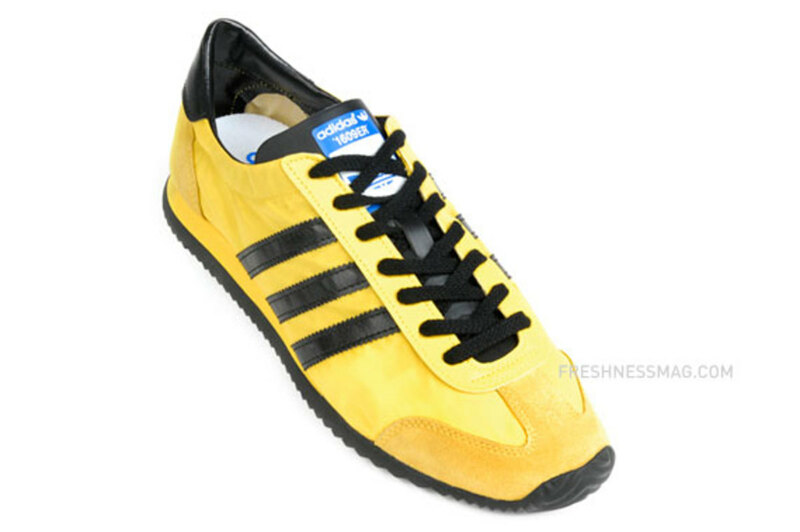 The 1609er was originally launched as a lightweight training shoe and first released in a bright yellow and blue colorway. 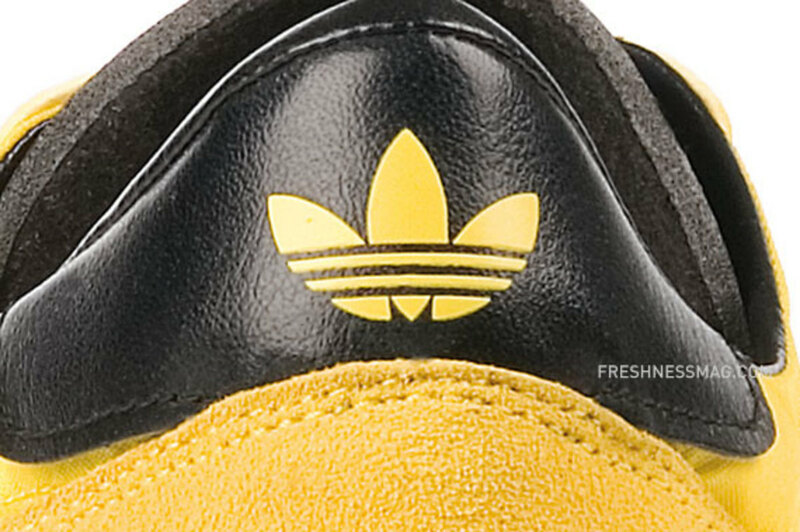 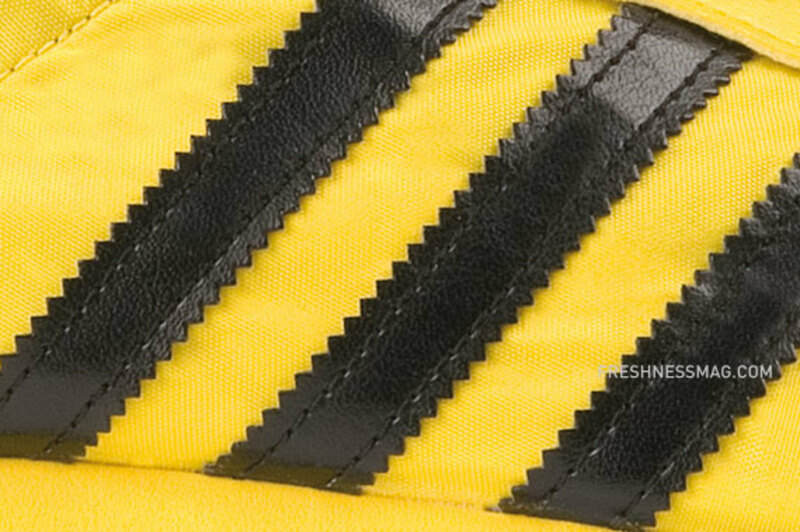 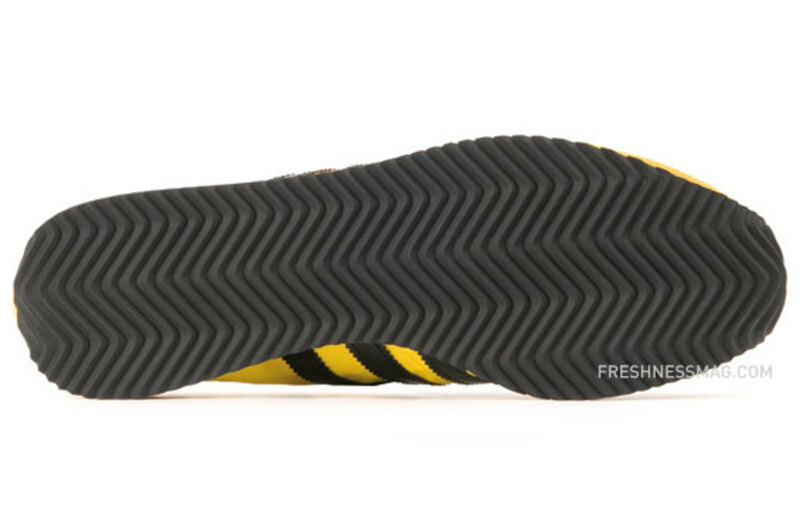 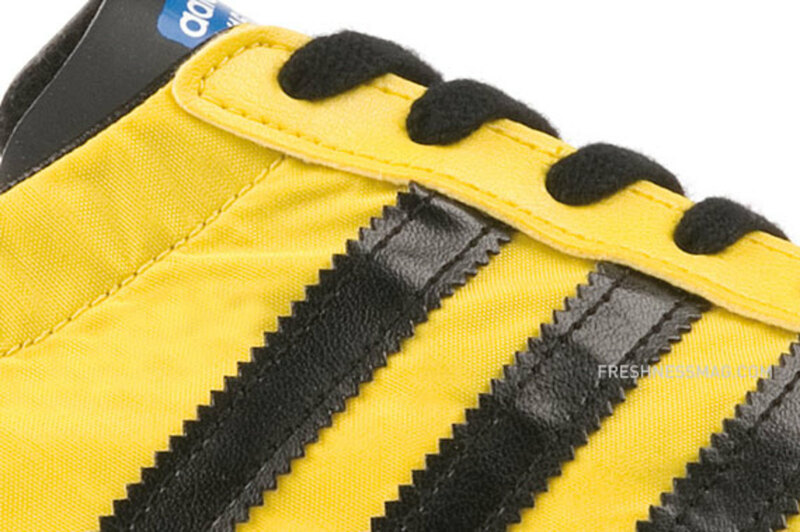 This time around, aside from the original yellow and blue, it is also released in a yellow and black colorway. 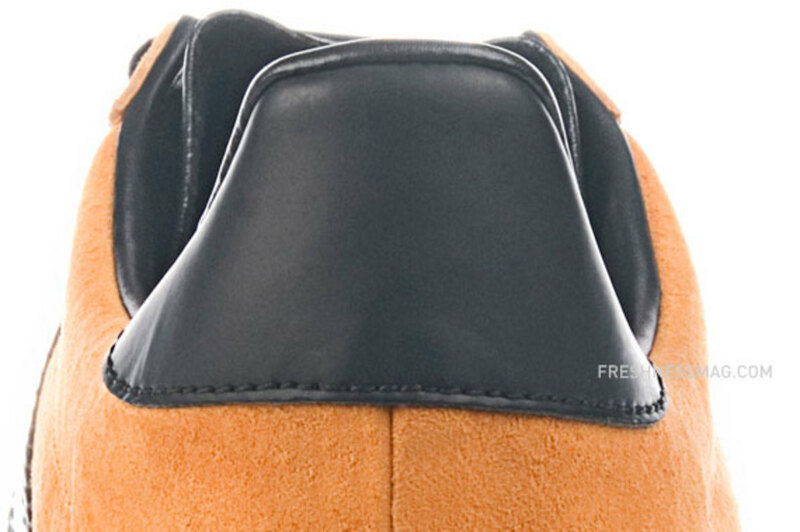 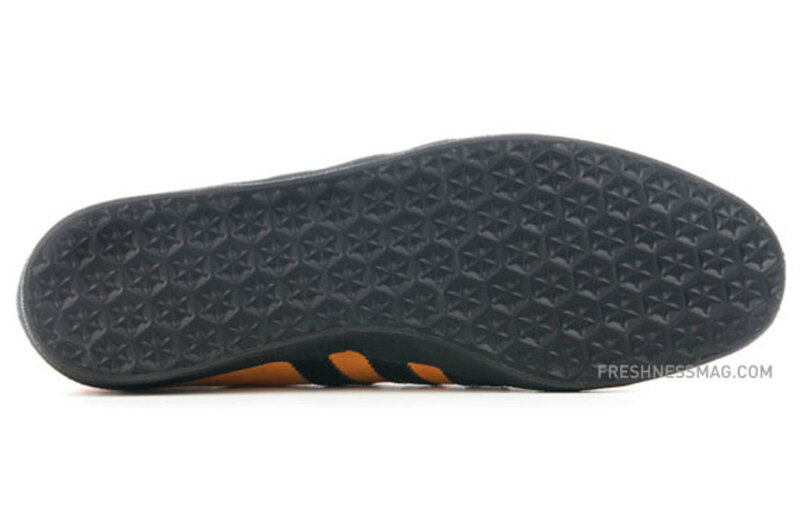 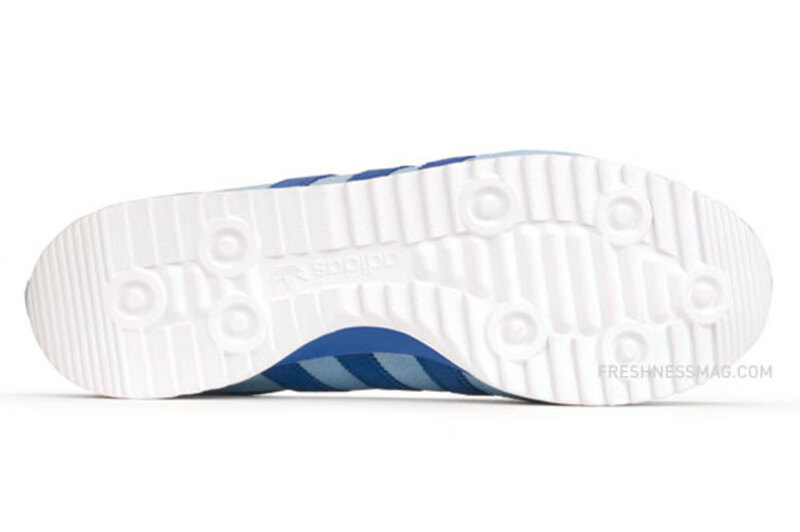 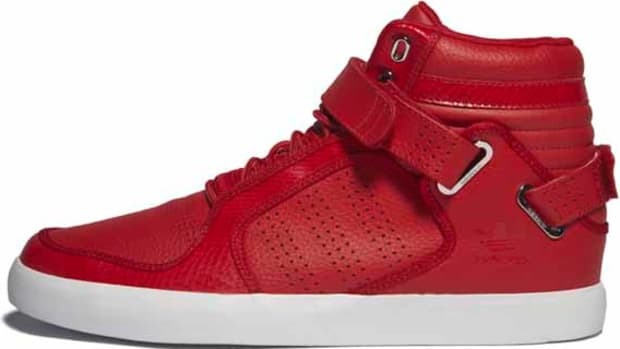 Last but not least, the Jeans opens up a new category of meshing trainers and lifestyle, where adidas acknowledged that sports footwear have grown popular with the average public who wear them going about their every day lives for the comfort and casual style. 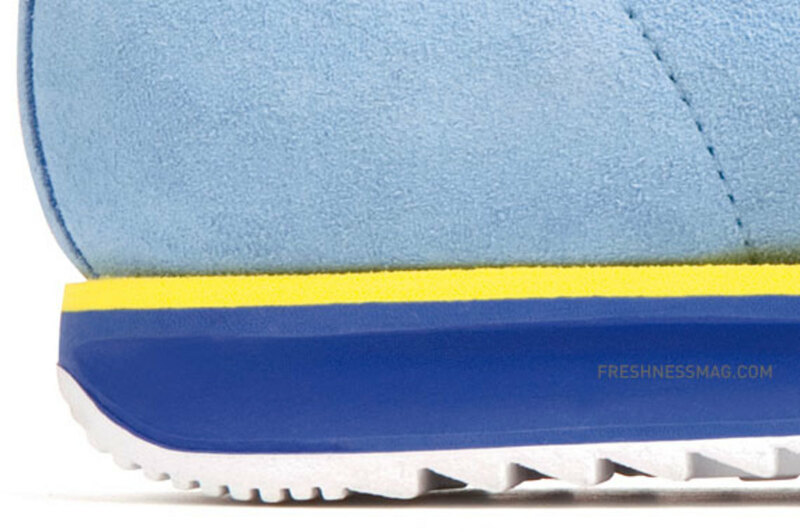 Like its namesake suggests, the Jeans are meant to be worn with jeans. 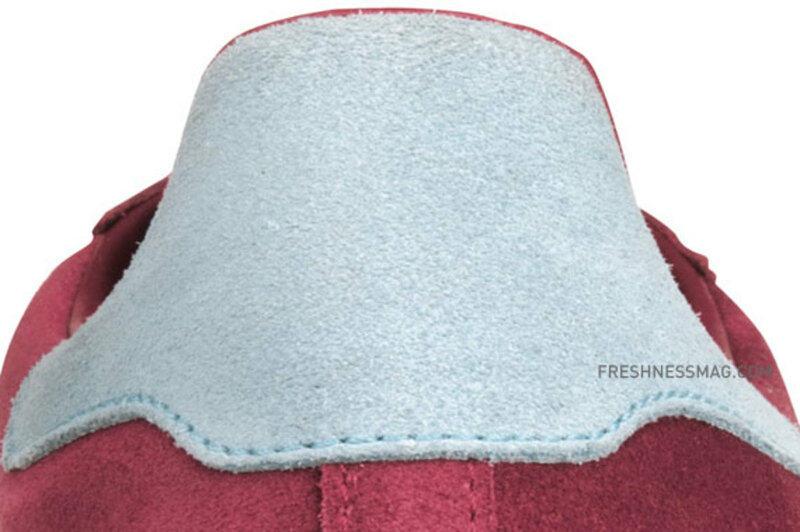 The Jeans are available in two vintage colorways, a rich plum with baby blue and yellow accents and another one that plays off tones of blue. 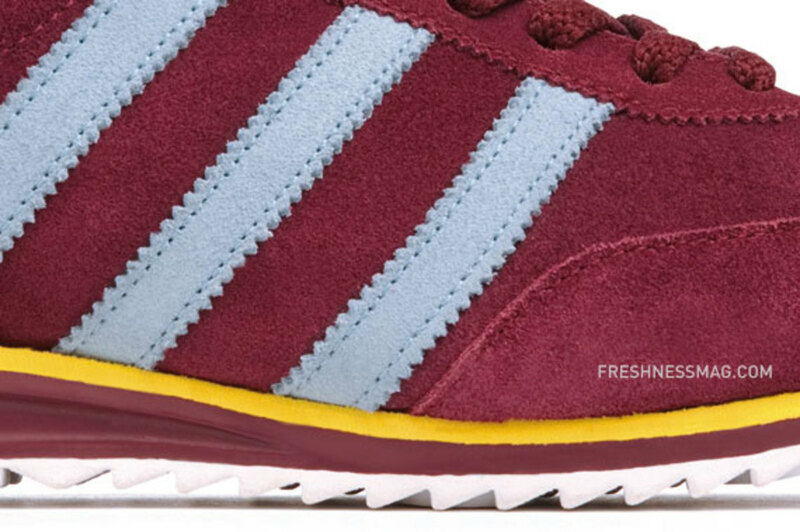 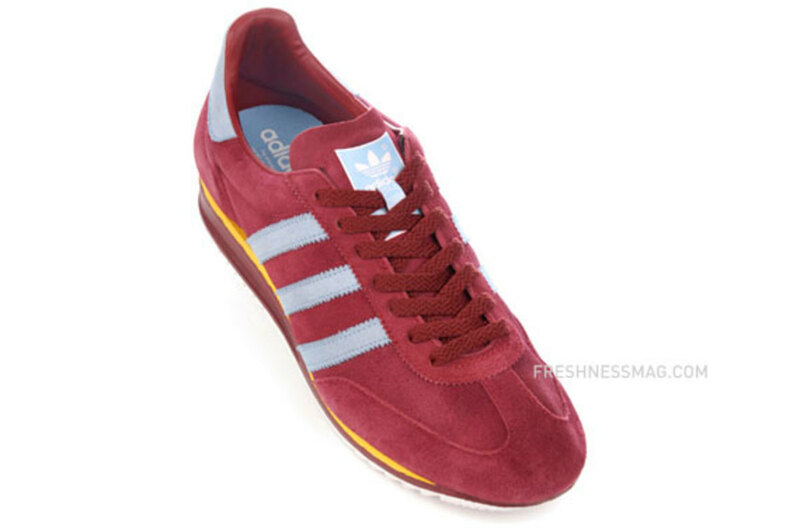 The Adi Archive will be available exclusively at Size?, so if you are feeling these kicks, do look out for them online and get your change to own a pair of the original kicks without having to scour ebay in valiantly futile attempts.